A cross-corrugated plate with secondary corrugation was proposed to improve the compactness and thermo-hydraulic performance of a compact heat exchanger. To achieve a reliable structural design and select the geometric shape of the corrugated plate according to the load condition requires research on the influence of the geometric variables on the structural characteristics under a variety of loading conditions. The aim of this study was to evaluate the influence of the geometric variables of a brazed cross-corrugated plate with secondary corrugation in terms of the structural characteristics. Three important geometric variables, namely, the pitch-to-height ratio, thickness of the plate and amplitude of the secondary corrugation, were considered. A thermo-mechanical FE simulation was conducted on a cross-corrugated plate with various geometric shapes according to various load types, such as pressure, temperature, and combined pressure and temperature loads. A DOE design matrix was generated using a full factorial design with every design combination considered. 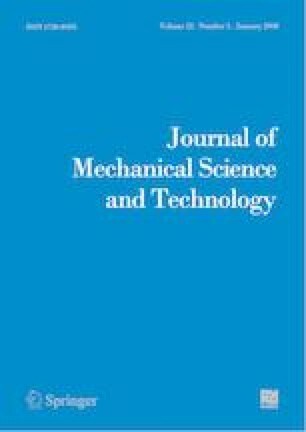 An analysis was conducted to observe the main effect of the various design variables in terms of the thermal, mechanical, and thermo-mechanical stress levels. The influences of geometric parameters on the structural characteristics under various loading conditions were presented. The proposed geometric variables were assessed as valid variables. Ho Seung Jeong is a researcher in the School of Mechanical Engineering at Pusan National University. His M.S. and Ph.D. in Mechanical Engineering are from Korea Maritime and Ocean University in 2001 and 2005, respectively. His research fields are the engineering for additive manufacturing, metal forming, and optimal structural design. Sang Hu Park is a Professor in the School of Mechanical Engineering at Pusan National University. His M.S. and Ph.D. in Mechanical Engineering are from Korea Advanced Institute of Science and Technology (KAIST) in 1996 and 2006, respectively. His research fields are the engineering for additive manufacturing, sheet metal forming, and nanofabrication.